Internet measurements provide useful insights into the accessibility of the Internet (e.g. coverage of WiFi and cellular networks), performance (e.g. Internet throughput and latency) and Internet usage. 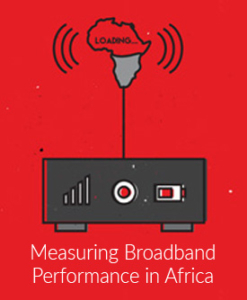 Internet development campaigners, national regulators, and policy makers in the developing regions are recognising the crucial role that Internet measurement data can play in facilitating evidence-based policy-making and regulation. While the Internet ecosystem comprises a diversity of stakeholders and service providers, it is difficult for any single stakeholder to access all of Internet topology data without the cooperation of the rest of the Internet community. For this reason, appropriate acquisition of Internet data requires a variety of cooperative research methods, including wide distribution of Internet probes for technical measurements, located in diverse locations and networks, as well as region-specific techniques and demand-side surveys on Internet access and usage. Submissions should be made electronically as PDF in the Confy system: IMRA track. Papers will be selected through a single-blind peer-review process. Accepted papers will be included in the conference proceedings and will be published in Springer digital library. Further workshop details may be found here.